I spent the day toying around with ASP.NET MVC 5 web applications and authentication. I won’t cover the step-by-step as there are plenty of blogs that have it covered. It seems that online, most examples and tutorials show you either how to use your organizational Azure AD account or social identity providers but not both. 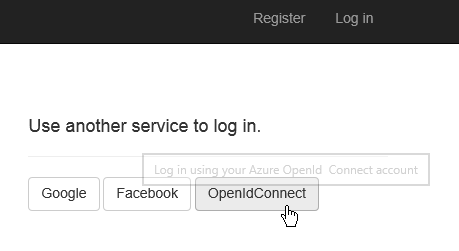 I wanted to be able to log in using Facebook, Google, and/or the organizational account I use to connect to Office 365. This will give you the baseline needed to add the social login providers (more on that later). 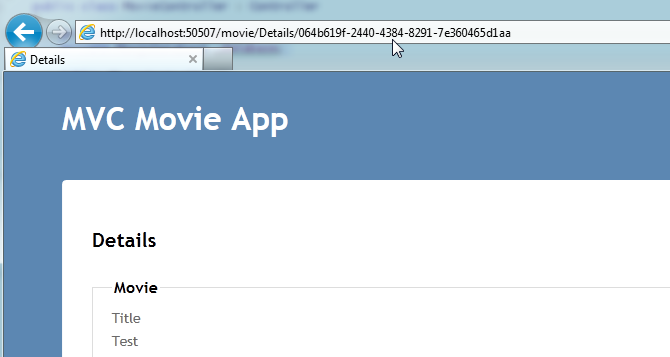 Now in the App properties screen, you will need to enter your login URL (e.g. https://localhost:4465/Account/Login) and for the APP ID URI, you cannot use “localhost”. You should use your Azure account info like: https://myazure.onmicrosoft.com/MyApp. The “MyApp” part is arbitrary, but the bolded text must match your directory identifier. Error: AADSTS50020: User account ‘jdoe@myo365domain.com’ from external identity provider ‘https://sts.windows.net/1234567e-b123-4123-9112-912345678e51/’ is not supported for application ‘2123456f-b123-4123-9123-4123456789e5′. The account needs to be added as an external user in the tenant. 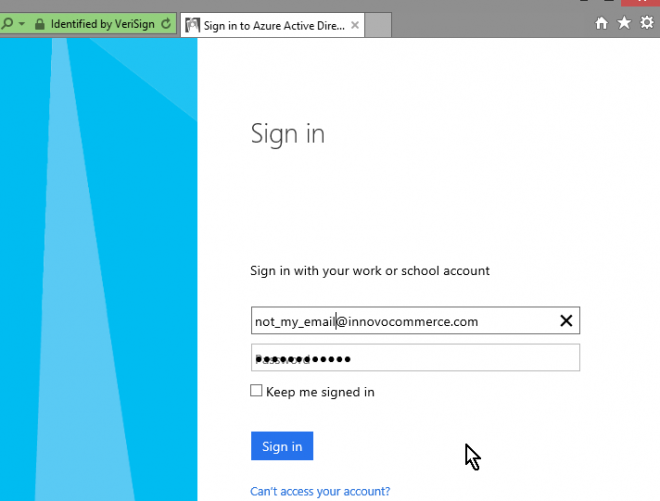 Please sign out and sign in again with an Azure Active Directory user account. Once you’ve enabled this, we’re ready to make the code changes required. Next, in the default Startup.Auth.cs file generated by the project template, you will need to add some additional code. Caption = "Azure OpenId Connect"
There are two very important notes. The first is that the Authority must have the /common path and not your Azure AD *.onmicrosoft.com path. The second note is that you must add the TokenValidationParameters and set ValidateIssuer to false. We’re simply short circuiting the process. It’s clear that there is no matching issuer, but it’s not quite clear to me yet where/how to configure that. You’ll just get a bunch of useless error messages if you don’t enable the API. I am not using localhost for APP ID URI. I tried even Office 365 tenant URL for the APPID URI. It throws the same error – The App ID URI is not available. The App ID URI must be from a verified domain within your organization’s directory.